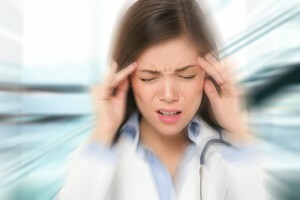 Headaches are common for many people, and most of us have had at least one in our lifetime. Often, a headache means little more than stress, excessive eye strain from being in the sun too long, or listening to loud music consecutively for too long. A migraine, however, can be too intense to disregard as par for the course, and usually, there’s a reason why your head hurts so much. Patients who experience chronic migraines without an accurate diagnosis can often find the root of their discomfort in TMJ disorder, a jaw dysfunction that includes a wide variety of other symptoms, too. Do Your Jaws Hurt, Too? Unlike tooth decay and gum disease, you can’t always prevent TMJ disorder from forming. However, you can treat the conditions that lead to the disorder, such as crooked teeth or an asymmetrical jawbone. Minor cases of TMJ disorder can often be treated with oral splints, designed to keep your jaw properly aligned while its joints and muscles heal. After a comprehensive examination, Dr. Young will thoroughly explain the state of your oral health, recommend an appropriate treatment, and explain how the treatment will improve your bite’s balance.